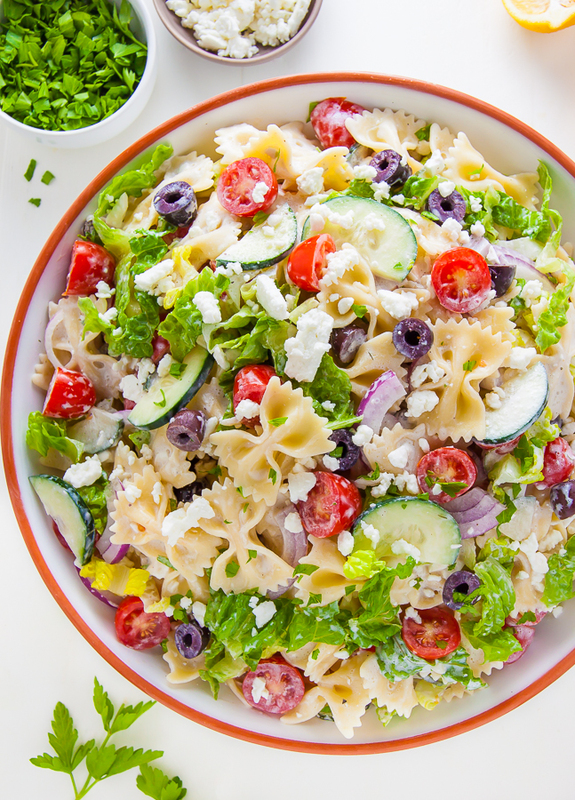 Packed with fresh veggies, Kalamata olives, and tons of tangy feta cheese, this flavorful Greek Pasta Salad is ready in 20 minutes. Bonus: The leftovers taste even better the next day! This crowd-pleasing recipe is perfect for Summer parties, picnics, and barbecues! 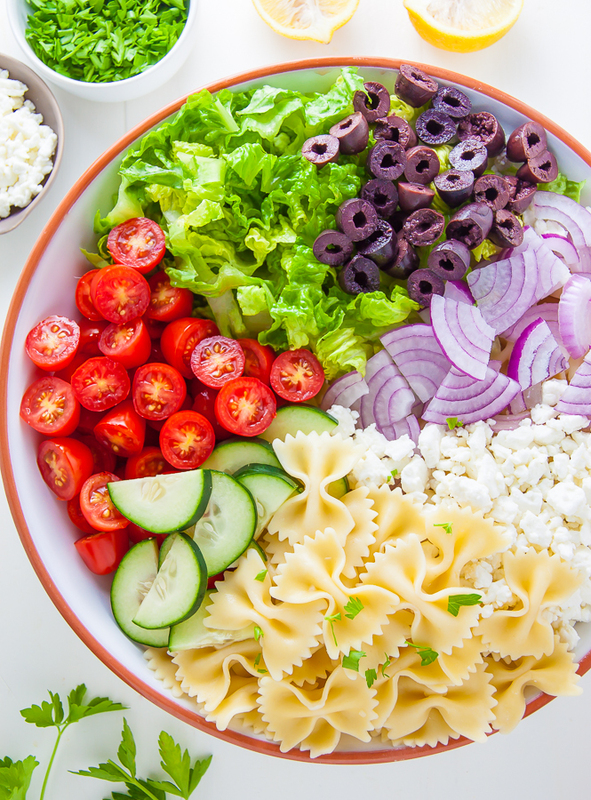 Popping in on this sunny Saturday to share with you my new favorite dinner: 20-Minute Greek Pasta Salad! If you’ve been following my blog for a while now, you already know I have nothing but love for pasta salad. More specifically, super quick and super delicious pasta salads. 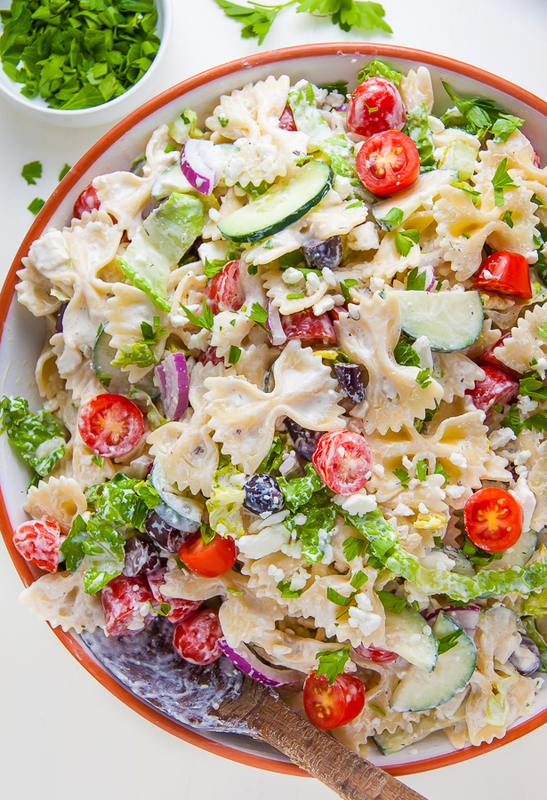 There’s the extremely popular BLT Pasta Salad, the bright and beautiful Rainbow Veggie Pasta Salad, and – my personal favorite – the 15-Minute Italian Pasta Salad. Heck, I’ve even made antipasto skewers… AKA pasta salad on a stick! 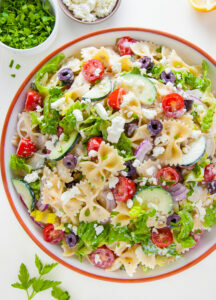 Today this vibrant Greek Style Pasta Salad joins the party, and you guys, this one is a keeper. Because when fresh pasta, crunchy veggies, tangy feta, and creamy tzatziki join forces… you just know it’s going to be good. 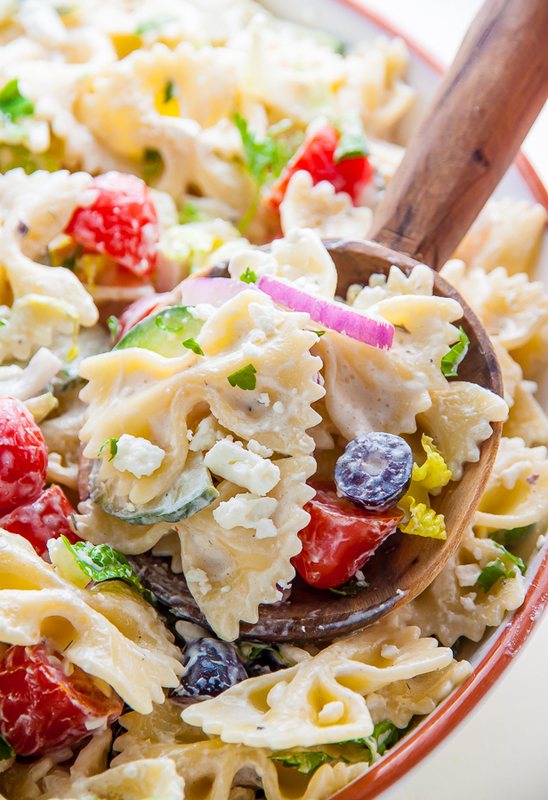 I brought this Greek inspired pasta salad to a BBQ last weekend and it was the first dish gone! And everyone begged me for the recipe. That’s when I knew I had to hop online and share it with you guys, too! This pasta salad recipe can be made in exactly 20 minutes (promise… I timed myself making it 3 times!) but you’ll need to work quickly and efficiently. When you set your water on the stove to boil, get busy chopping those veggies and making the dressing! That way when the pasta is cooked and drained, all you need to do is add everything together and toss! Be sure you don’t over cook your pasta. It should still have a toothy bite to it! To ensure the romaine lettuce doesn’t get too soggy, I recommend choosing the crispiest leaves you can find. 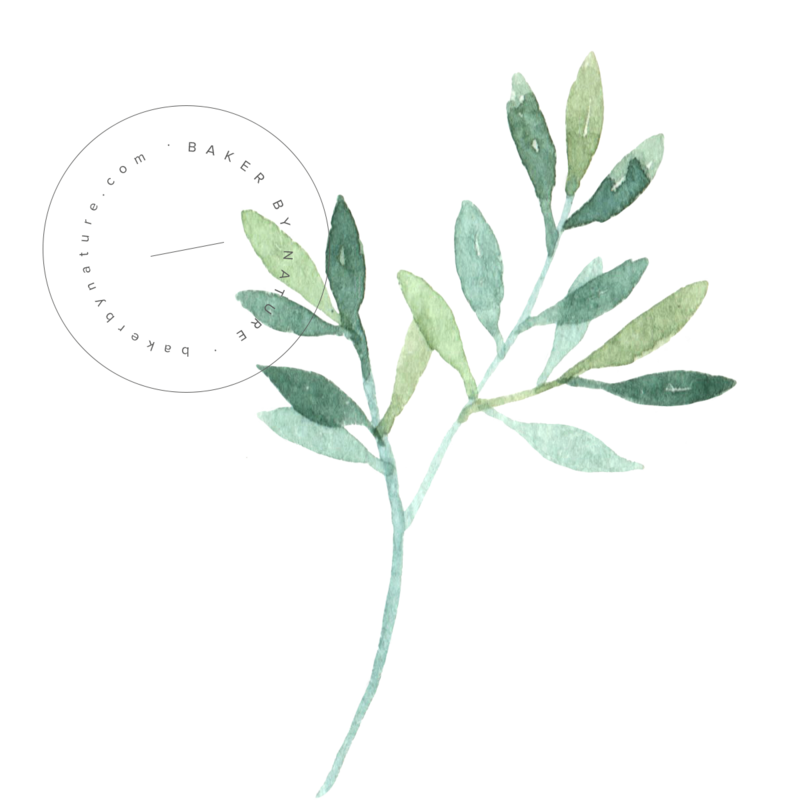 Or, just use the bottom half of the leaves; they’re always the crispiest. 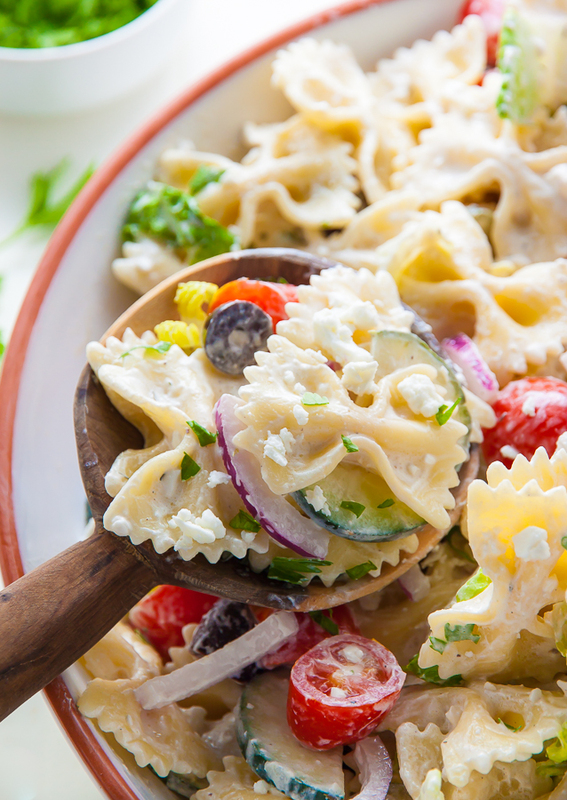 This pasta salad will be OK sitting out in a cool environment for about 2 hours, however, due to the deliciously creamy nature of tzatziki, it shouldn’t be left out in extremely warm conditions for long amounts of time, and should always be refrigerated when not being served. If you’re looking to bulk this pasta salad up a little, it goes great with grilled chicken or shrimp! Enjoy your weekend! I’m off for a long hike with friends, then dinner at a little bistro I’ve been dying to try. What are you up to?! 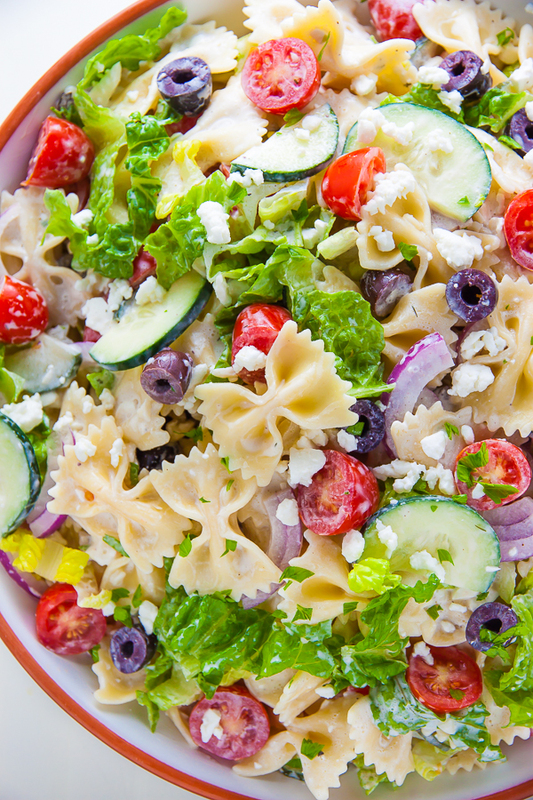 Packed with fresh ingredients and tons of flavor, my Greek Pasta Salad is ready in just 20 minutes! Place a large pot of salted water over high heat; bring to a rolling boil. Add pasta and cook until al dente, 8 to 10 minutes. While the water comes to a boil and the pasta cooks, prepare the vegetables and dressing. Halve the cucumbers lengthwise and remove the seeds with small spoon; slice into half-moons and set aside. Slice the cherry tomatoes in half; roughly chop the romaine lettuce; finely chop the parsley; slice the olives in half; thinly slice the onion; set aside. In a small bowl combine the minced garlic, olive oil, vinegar, sugar, salt, and pepper; whisk well to combine. Add in the tzatziki sauce and mix well; season to taste. When the pasta has finished cooking, drain it at once and quickly rinse it under cold water until cool, about 1 minute. Place cooled pasta in a large mixing bowl. Add dressing to pasta and toss well to coat. Add the chopped cucumbers, tomatoes, lettuce, parsley, olives, onion, and feta and toss to combine. Serve at once, or chill until needed. Pasta salad will keep, covered and stored in the fridge, for 3 days. Sounds like the PERFECT Saturday!Can I be your friend?Love the salad,never a bad recipe.Hope your hike is glorious and the bistro meets your expectations.Am breaking in my new hybrid bike,maybe a swim,then off to salon to get PERTY. At 54,just gotta work with what you have!Excercise, live clean,being happy! It was delicious! I onky changed the koriander to basil which made it even better! Great recipe but I used your ingredient list which doesn’t have red onion like the picture. Would have made the salad even more delicious. You recipe pictures Red Onion included in the salad, but it is not listed in the recipe. Just wondering how much you use? Hi Amanda. I used 1/2 cup. I’ll check the recipe and adjust it now! What is tzatziki sauce? Never heard of it! Where.can I buy? Is there a substitute? It’s a creamy Greek sauce, you can find it most grocery stores. Trader Joe’s sells it too! I don’t have a substitution, but you may be able to google it and find some homemade versions. I couldn’t find tzatziki sauce so a lady at the store helped me find something similar. It was in the section with the hummus. The container said Greek yogurt dip- cucumber and dill. Sabrá makes a brand as well. I used it in my recipe and it was delicious. Wow, today I made this salas for lunch and my husband loved it. It’s winter here though . Thank you so much. Awesome salad! My family loved it. I added a few artichokes, green onion and dill. skipped the romaine . will definitely make this again! Sounds amazing, and I love that you added pasta, perfect for outdoor dinners! Love this. I will make it ahead for 3 days for lunches. The dressing is hands down awesome. 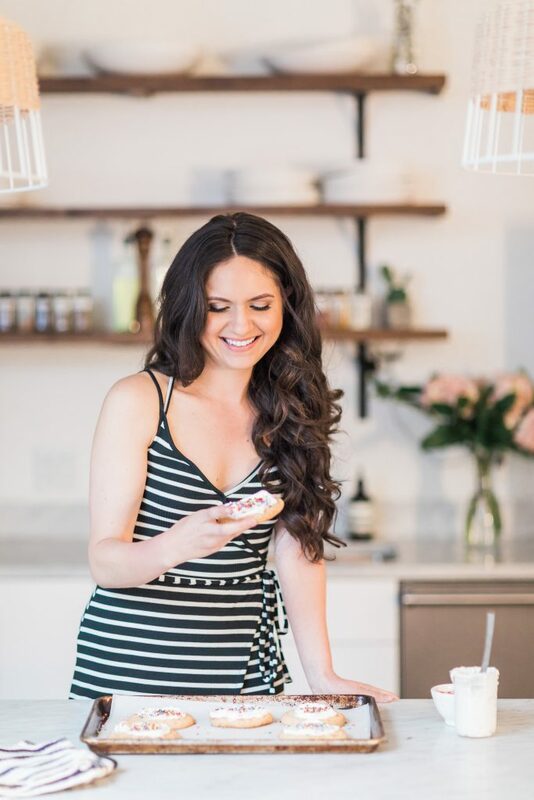 I use honey in place of sugar and used apple cider vinegar since I didn’t have red wine vinegar. Amazing.